When Gaston inherits his grandfather's old house in the countryside, he must visit it, accompanied by Amerigo, an older man depressed by the passing of time. The driver of the pick-up truck in which they travel is Beto, a man with a murky past. The place where they are going was visited by the English naturalist Charles Darwin in 1833. There, Darwin picked up crucial information to later develop the theory of evolution. The trip takes longer than expected, but the time together teaches them to appreciate the present and take a step forward in their own evolution. 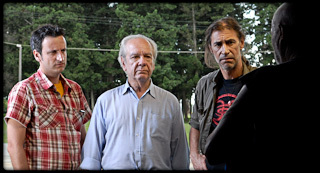 In 2013, RINCON DE DARWIN was selected to participate in the Miami International Film Festival’s post-production development program, Encuentros, and actor Carlos Frasca recently won Best Actor for the Latin American Selection at the Málaga Film Festival for his work in this film. 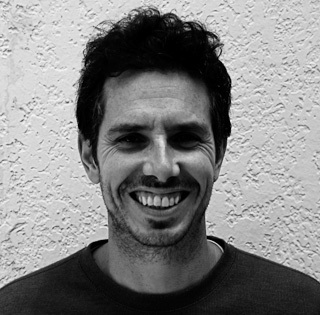 With a degree in Social Communication Sciences from the Catholic University in Uruguay, Diego Pujol wrote and directed several short films such as NICO & PARKER (2000) and FABRICA DE ENANOS (2004) before embarking on his first feature-length project, RINCON DE DARWIN. For the past eight years, he has also been a partner at Transparente, where he develops content for fiction and documentary projects, as well as educational material.